3 free spells with Spellweaver Helix + Spellweaver Volute? Does Sword-Point Diplomacy count as drawing cards? 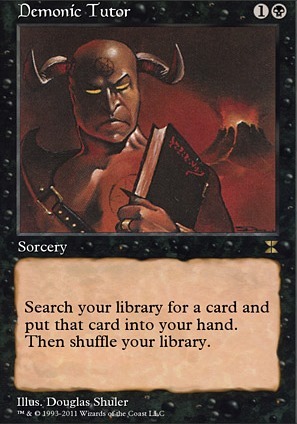 Search your library for a card and put that card into your hand, then shuffle your library. When building this deck i actually looked at quite a lot of other breya decks and playtested them a lot. So I understand your points and know that cards like Demonic Tutor and Enlightened Tutor are must haves in more competitive lists. I just prefer diversity over consistency and don't want to spent that much money on cards i don't enjoy playing. I have actually never played against Null Rod and Stony Silence but i agree that I should play more removal and will definitly add a Swords to Plowshares and Wear . I also thought about adding Cyclonic Rift I'm not sure bcs of it's pricetag though. Do you think those cantrips are worth it in an casual environment? I normally prefer having repeatable draw especially since I dont't have to win by turn 5 or smth. 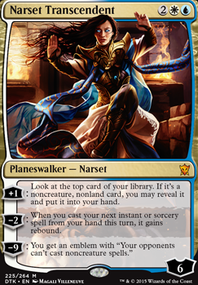 I like the Talismans and might exchange 3 lands for them. 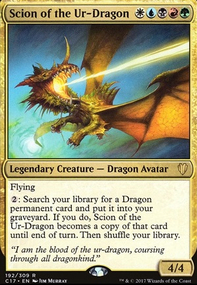 Lol this deck looks like an early version of my breya deck. So I am going to comment/make advise from that point of view. I don't know what your meta is like and I don't know if you are trying to be super competitive or not, because it seems to me that this is a competitive casual deck. You are unable to effectively kill your opponents quickly, efficiently, and most importantly all at once. Only one or two of your combos can actually kill every opponent the moment it touches the board, namely Nim Deathmantle + KCI or ashnod + Breya. The rest of the combos/wincons are fluff, because you can't seriously expect that the opponents are going to sit there and let you kill them one by one. So instead of having tons of combos, instead substitute for only a couple of combos and fill the void with cards like Demonic Tutor Enlightened Tutor Mystical Tutor and the rest of the space with protection/interaction with your oppenents which leads me to my next point. You have little to no ability to interact with your opponents. Cards like Null Rod or Stony Silence are hilariously powerful against you. If one of these is on the battlefield, then you literally only have 2 cards in your entire deck to deal with it namely Vandalblast and only for Null Rod the more uncommon of the 2. Also have you ever played a game against anyone with counterspells? it will make you miserable. You need to play cards like Swan Song Wear Swords to Plowshares and any number of other interactive cards should be considered. Another thing I notice was the fact that you have little to no cheap 1-2cmc cantrips or filtering. Consider: Ponder Preordain Faithless Looting Cathartic Reunion Night's Whisper Artificer's Assistant Riddlesmith Thought Scour Brainstorm . One of the most disgusting things in EDH is amount of crazy good recursion from the graveyard that exists. Consider your graveyard as an extra hand imagine T1: play Goblin Welder ; T2:play a random 1 cmc artifact and Faithless Looting discarding Bolas's Citadel and you win, probably. Your deck's CMC is also way too high. One of the worst feelings that you can have in a game is watching another person combo off and you have only played a land or 2. Add every Talisman of Indulgence type of mana rock that you can. It might be good for you to look at more competitive EDH decks and built towards it. There is also a different mindset that those deck have than you have and it will totally confuse you as it did me. If you look at my Breya deck...(its eggs kind of)... it is a little confusing(sorry) and its purpose is to delay opponents who would win uninterupted turns 3/4/5 with spellbombs/other interaction so that I can combo on turns 5/6. 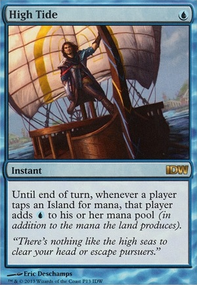 Ignore the lack of lands I just happen to be a person who never gets mana screwed. MTOlesen on Breya, combo queen. A few additions, and cards you could take out. 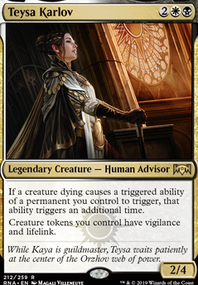 Cards i would take out: I would first take out Time vault and Tolarian Academy because they're not commander legal. I also don't like March of the Machines because it exposes your artifacts to creature removal/boardwipes. I would also take out the signets, because they don't really do enough. I would also take out Sapphire Medallion and Ruby Medallion , because you deck is mostly based on colorless artifacts. Power Artifact with Grim Monolith or Basalt Monolith , cause even though you can't copy the mana ability, you can copy the untap ability. Once you have resolved the first untap trigger, while the original trigger is on the stack, tap it for mana. This will net you mana, and you can do this as many times as you want. 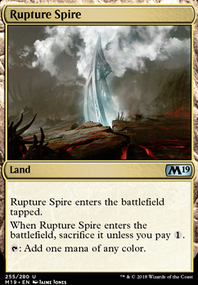 Another option is: Isochron Scepter with Dramatic Reversal , you only need to have mana rocks that tap for 3 or more, and you have infinity mana. Otherwise a really nice deck!